What’s every Potter fan’s dream (other than attending Hogwarts)? 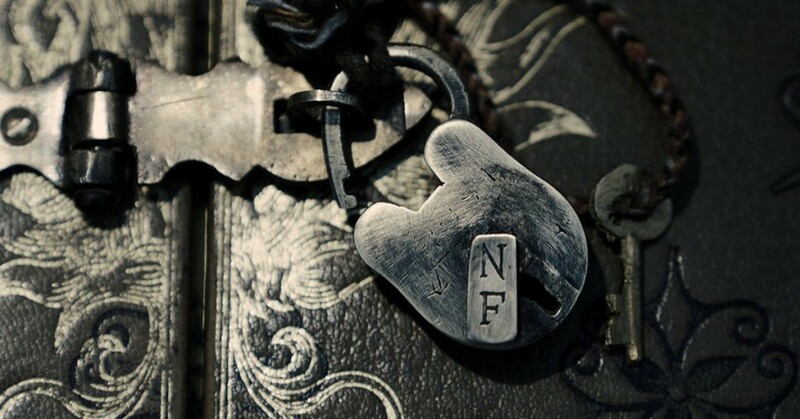 Access to J.K. Rowling’s notes, of course! 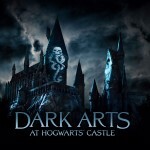 The History of Magic exhibition, currently at the New York Historical Society, gives Potter fans exactly that, showing original Potter manuscripts and hand drawn illustrations from the archives of the mastermind, and unpacks her use of real-world historic material and literature in exhibit sections based on Hogwarts classes. To my delight, Lyndy Abrahams also name-checks a work by our friend Nicholas Flamel as evidence for this connection. I think there is a further hint that the apothecary shop in Philosopher’s Stone, like Shakespeare’s, may combine the activities of alchemist and apothecary. 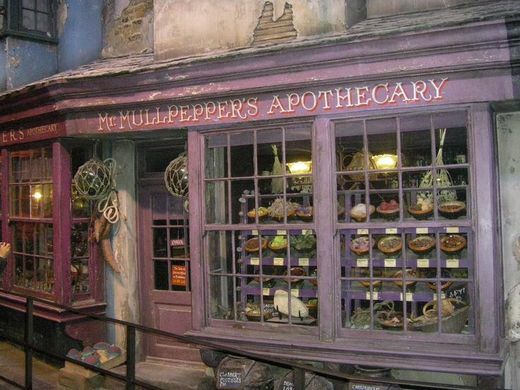 the modern ‘chemist’s shop, which apothecaryies fulfil in the Wizarding World. I wonder, for example, about the stress laid on the sulphurous smell. 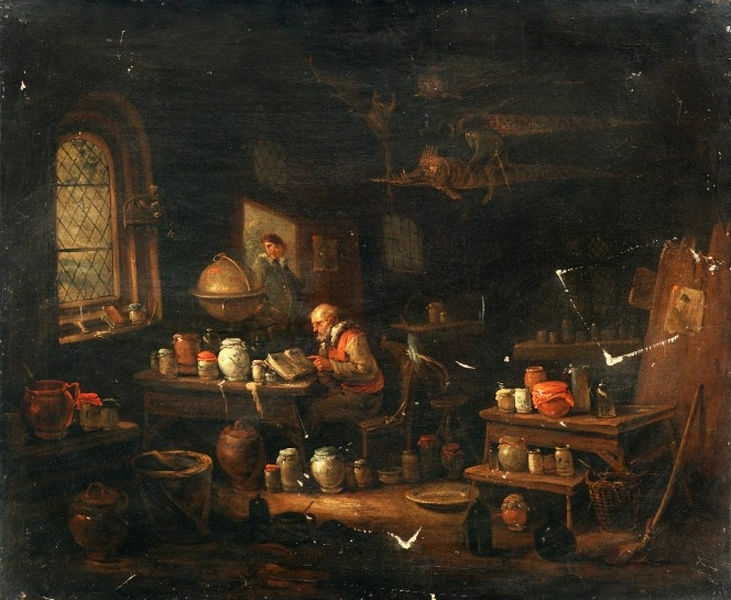 Rowling mentions that the apothecary’s smells of ‘bad eggs and rotted cabbages:’ which is precisely how a modern chemist would describe the smell of sulphur: ‘reminiscent of rotting cabbage or spoiled eggs.’ There is no particular reason for an apothecary to smell of sulphur, but every reason that an alchemist’s would. 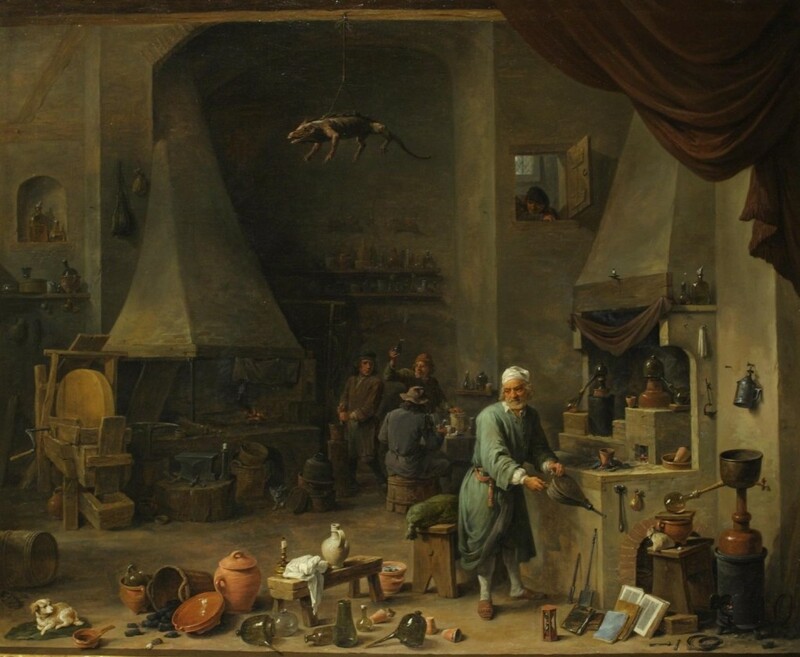 Alchemists believed that gold could be formed from the perfect union of mercury and sulphur (the Alchemical Wedding) and so much of their practical experimentation would have involved sulphurous fumes. John Granger (who knows more about literary alchemy in Harry Potter than anyone) has written about the alchemical importance of sulphur in the novels, and the way in which the Alchemical Wedding is echoed throughout by the unions of red-headed Weasleys with mercurial women. 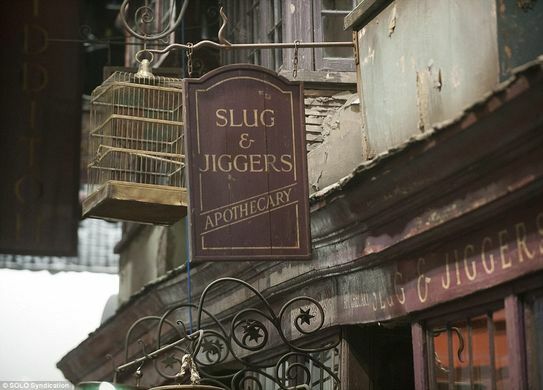 Sulphur would have been one of the most pungent smells in an alchemical workshop and I think it is telling that the apothecary’s on Diagon Alley stinks of the stuff. 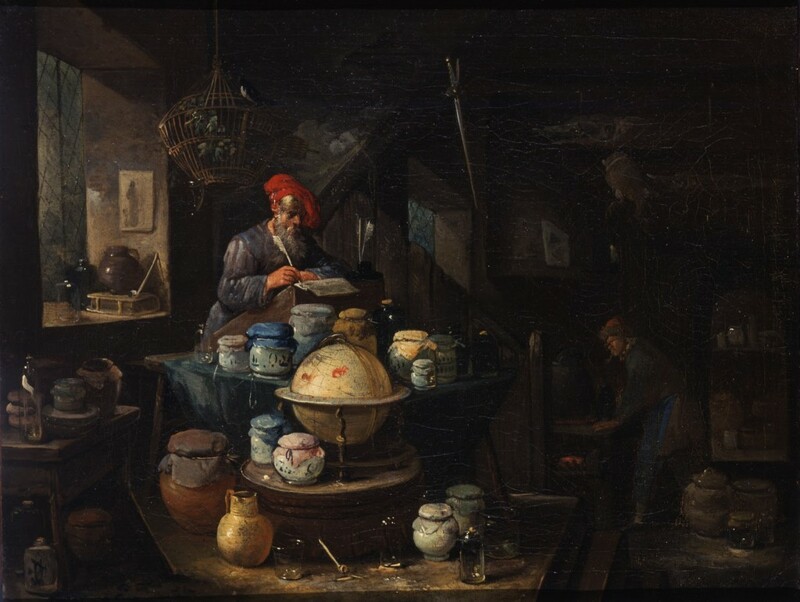 Culpeper was not an alchemist per se, but his interest in the ‘natural magic’ of planetary influence on herbs in his 1652 Complete Herbal (or, as he calls it, his ‘Astrologo-Physical Discourse’) is part of the perceived link between apothecaries (or chemists) and alchemists. Medieval treatises on plants which linked them to the action of planets, as Culpeper does, believe that the ‘powers of plants – curative, alchemical, and magical – were linked to the powers of the celestial body with which each was identified’. Rowling delights in way that Culpeper links plants into this wider, magical, schema: ‘it’s not even the properties of the plants, it’s just the way they wrote about the plants and observed them and tied them planetary movements and so on. There’s such a poetry to it. Ah yes, “it is fat, unctuous and temperate, generated of that which is moist, aerious and moderately hot”.’ This linking of plants, planets and the body’s humours (hot, cold, dry and moist) is a fundamentally hermetic or alchemical view of the universe, in which the whole of creation is tightly connected, but also separated into ‘teams’ of air, water, earth or fire (or, in bodily terms, dry, moist, cold and dry – or, in Potter terms, Ravenclaw, Slytherin, Hufflepuff or Gryffindor). Culpeper’s astrological system tried to map the astrological system on to the traditional medical understanding of the body as a microcosm of the cosmic division into fire, water, earth and air. The four founder of Hogwarts all have alliterative names – Godric Gryffindor, Helga Hufflepuff, Rowena Ravenclaw and Salazar Slytherin – which work perfectly for their status as founders. Foundations should be strong and alliterative names have strength. 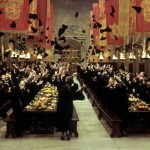 But it is also another aspect of the balance of Hogwarts – each of these names is equally solid. 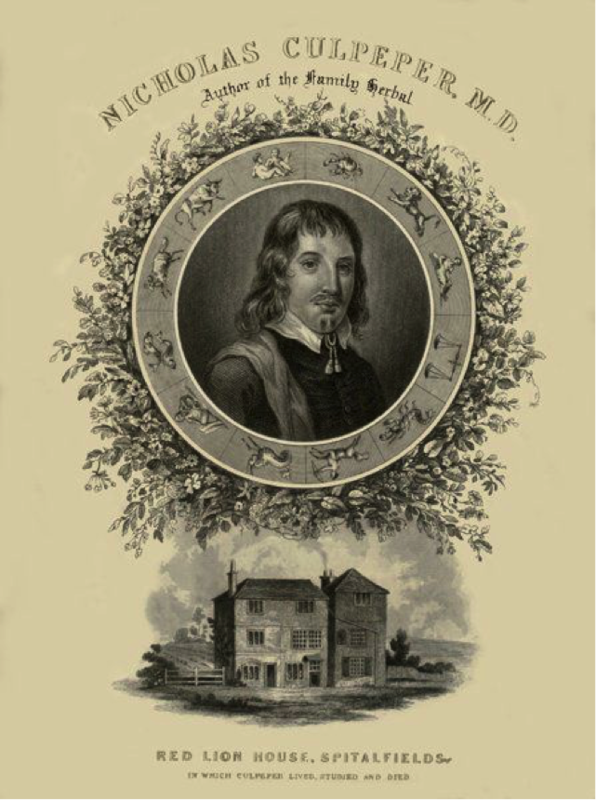 Culpeper believed that the humours of the body echoed the composition of the cosmos and that the way to keep the body healthy was to have all these parts in balance. 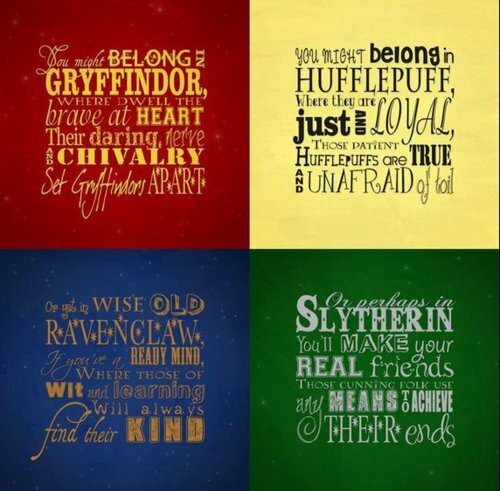 The four Hogwarts’ houses echo this balance but I think it also goes one step deeper, and that this balance can be found within the central Gryffindors as well as around them. The four main Gryffindors – Harry, Hermione, Ron and Neville – continue this balance on within Gryffindor itself. Harry can be sub-sorted into Slytherin, Hermione into Ravenclaw and Neville into Hufflepuff – leaving only Ron as a dyed-in-the-blood Gryffindor. This is often thought of as a plot-weakness of the books but it is not one that they shy away from. The question of why Harry isn’t in Slytherin is central to Chamber; Neville in the face of Malfoy’s jibes constantly – and finally, triumphantly, – has to prove himself worthy of being in Gryffindor and an incredulous Terry Boot finally explicitly asks what the cleverest witch of her age is doing in a house other than Ravenclaw. Another way of seeing this anomaly is that, just as natural magic and herbalism had always seen the microcosm as an echo of the macrocosm, and Galenic medical principles had established the importance of balance in both, so to maintain ‘this idea of harmony and balance, that you had four necessary components and by integrating them you would make a very strong place’ so the balance between the houses should be found within the microcosm (each Gryffindor year) as well as the macrocosm of Hogwarts itself. We’d like to thank Dr Beatrice Groves for these wonderful essays, written exclusively for Leaky to help celebrate the launch of the History of Magic exhibition in New York! 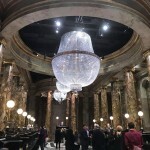 Take a look at her previous analysis of the exhibition in London for more exciting insights, follow her on Twitter, and be sure to check out her book, Literary Allusion In Harry Potter, for more of unravelling of Rowling’s inspiration. Take a look at our review of the exhibition to find out more details about the New York additions. Book your tickets to the exhibition at the New York Historical Society website, read more about the documentary (which is now available on DVD), the official book of the exhibition, and download the new audiobook! Abraham, Lyndy. “”The Lovers in the Tomb”: Alchemical Emblems in Shakespeare, Donne and Marvell.” Emblematica 5, no. 2 (1991): 307-8. 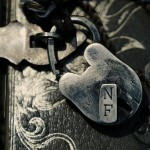 Unlocking Harry Potter, chap 2. Linda Ehrsam Voigts, ‘Plants and Planets: Linking the Vegetable with the Celestial in Late Medieval Texts,’ in Health and Healing from the Medieval Garden, eds. Peter Dendle and Alain Touwaide (Woodbridge, 2008), p.33. Olav Thulesius, Nicholas Culpeper: English Physician and Astrologer (London: Macmillan, 1995), 106-107.